Dragon Ball Super: Broly, 2018. Featuring the voice talents of Sean Schemmel, Christopher Sabat, Vic Mignogna, Dameon Clarke, Sonny Strait, Emily Neves, Erica Lindbeck, Bruce Carey, Veronica Taylor, and Sonny Franks. 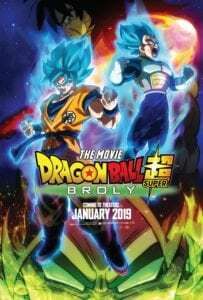 Dragon Ball Super: Broly is the best, most inspired Dragon Ball film to date. Popping and pulsing with vibrancy and vigor, Akira Toriyama’s triumphant return to the franchise catapults the Saiyan saga to glorious new heights, with unexpectedly emotional results. Fans yearning for a planet-splitting brawl won’t walk away underwhelmed; Toriyama’s smart, lean script allows for plenty of explosive Saiyan-to-Saiyan combat that dwarfs the stakes of the Tournament of Power. It’s all exciting, suspenseful stuff that absolutely remembers to cram in interesting lore and obligatory fan service. Die-hards will rejoice. Part character study for fans, part contextual supplement for franchise newcomers, Broly wisely backtracks. Fans see the destruction of Planet Vegeta, the resounding defeat of Broly’s father, Paragus, and how Frieza ties it all together with cruel knots and diabolical laughter. It all sets the stage for a confrontation that will shake Goku (Sean Schemmel) and Vegeta (Chris Sabat) to their cores. Look out, Jiren, Toppo, and Dyspo. Contestants in the next Tournament of Power have a new fighter to fear. The film bleeds for Broly, whom Toriyama considers a victim of Paragus’s quixotic dreams. He’s painted in two shades: the sickly green of a jealous, sad outcast and the gilded regality of one destined for greatness. Having two of Frieza’s underlings sympathize with the misunderstood Saiyan imbues the franchise with complexity it didn’t have previously. Broly is so dynamic and interesting that it’s sometimes difficult to remember how dangerous he is. A natural warrior gifted with a frightening learning curve and countless pounds of tightly packed muscle, Toriyama’s re-imagining of Broly is every bit the bristling juggernaut fans remember so fondly. The musclebound beefcake was originally created by Takao Koyama, with Toriyama’s designs backing the vision for the character. Vic Mignogna, who also voiced the character in the standalone trilogy of Broly-centric films dubbed in the early 2000s, returns to roar and scream himself hoarse as he locks himself in combat with Schemmel’s happy-go-lucky protagonist and Sabat’s scowling prince. 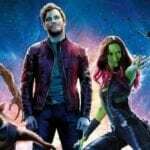 The film falters when it strays from what it is: absurd, adrenaline-fueled bouts of fisticuffs occasionally accompanied by angry screaming, colorful energy blasts, and heartfelt sentiment. Fortunately, it stays mostly on-brand. If anything, having Toriyama onboard as screenwriter bolsters it. He keeps it focused and grounded in the context he created with Dragon Ball so many years ago. 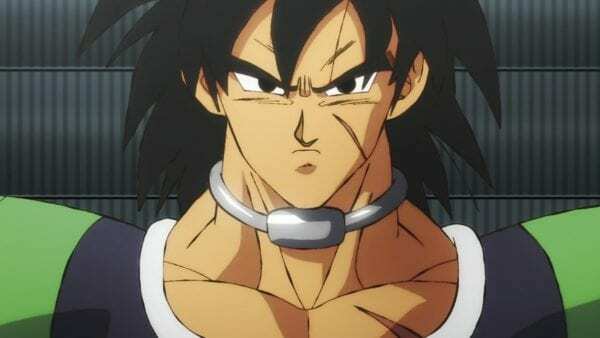 From the alien monster ear he wears around his waist to the unwavering loyalty he shows his well-meaning but ultimately cruel father, Broly is far more layered than any Dragon Ball villain has any right to be. It’s a smarter, more intentional film than many may realize, and much of that can be traced back to Toriyama’s newer, clear-eyed vision for the character. 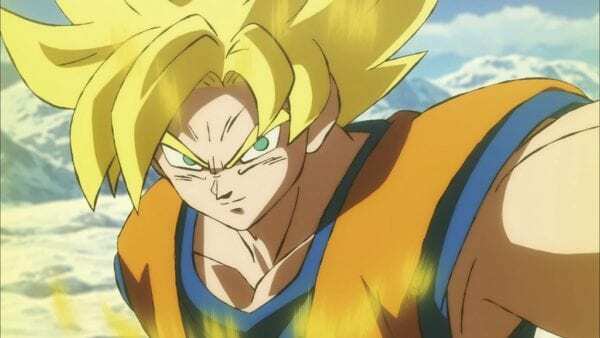 Dragon Ball Super: Broly elevates a franchise that needs no introduction; it’s the perfect complement to the relentlessly entertaining continuity in which it’s set and a staggering achievement of modern animation to boot. Broly is an unmitigated force of nature who shares all the power and prowess of the show’s most memorable fighters. He’s unmissable. The film is, too.